Following the launch of all new Aston Martin Vanquish in the global market, Aston Martin finally agreed to bring this stunning new luxury sports car to the Indian market. Vanquish mainly promises an exciting and solid future for this well established brand. With the price tag of about Rs. 3.85 crore, it has become second most expensive Aston Martin vehicle after One 77. The all new Vanquish is equipped with next generation VH architecture with an expressively upgraded 6.0 litre V12 engine, which is more potent than earlier versions. The new version is powered by naturally aspirated 6.0 liter V12 petrol engine coupled with renowned Touchtronic 2 six-speed automatic transmission. The V12 engine churns out maximum of 565 bhp at 6750 rpm and 620 Nm of torque at 5500 rpm which allows this beast to accelerate from 0-100 kmph in just 4.1 seconds with a top speed of about 295 kmph. Director of performance car (official importer of Aston martin in India) Lalit Choudhary, said that the initial firm thought that they will be able to sell more of entry level cars and just few of the car from the higher segment but it has turned out just reverse of it. Cars tagged above Rs. 2.5-3 crore are accounts for about 80 percent of the total sale. 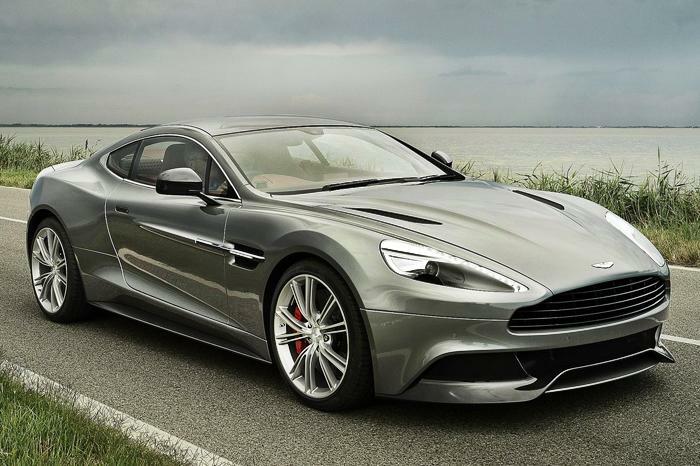 The Vanquish is designed and hand-built at Aston Martin’s Global HQ in Gaydon in Warwickshire. It is available in two variant with 2+2 and 2+0. It sits on the top of the line of the world class sports cars including DB9, V8 Vantage sports and Four door Luxurious Rapide.